It had been over a year since our last update so we decided to start from scratch—we've updated all the products (including the shower bench) and added some frequently asked questions. Advancing technology is allowing more older adults to live on their own with greater quality of life, and it’s also giving caregivers more freedom than ever before. We’ve researched some of the best safety products for seniors to find products to help people live safer and easier, even as they age. 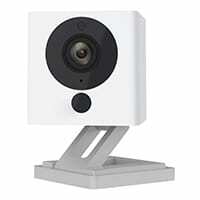 With two-way talk, night vision, and high-definition images, the Wyze Cam has been compared to pricier products like the Nest Cam, but users are just as pleased with this much less expensive device. Rather than dealing with constant wellness checks by well-meaning loved ones, you can put the Wyze Cam in your home and let concerned family members check in on you via camera. Using their smart phones, they can receive alerts whenever the camera detects movement, and they can review footage to make sure everything is okay. 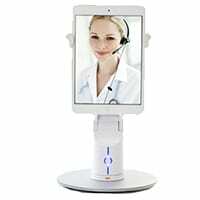 They can also view a live stream and chat with you through the speakerphone on the device. 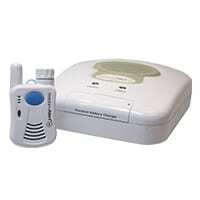 Bay Alarm Medical has options for monitoring both inside and outside your home. Inside you can use a waterproof pendant with a button that will connect you to a call center using the powerful speakerphone in the base unit. You can also use wall buttons that operate the same way as the pendant. Outside the home, a portable GPS unit can connect you to the call center in case of emergency, and it helps first responders find your location. 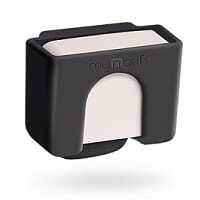 But unlike the in-home pendant, the GPS unit needs to be recharged every 72 hours. A Bay Alarm Medical system runs around $20–$30 a month, depending on the plan you choose. But you don’t own the equipment—it’s just a lease—and some customers have complained that it’s difficult to return once you don’t need it anymore. The discreet Vyncs GPS tracking device plugs into your OBD-II port (it’s the diagnostic port your mechanic uses, and it’s usually somewhere under your dashboard) and sends location updates to an app on your phone or computer every three minutes. Because it uses your diagnostic port for power, it doesn’t require any batteries or charging, and it can also send you vehicle maintenance reminders. You can set it to send you zone alerts if your vehicle goes out of a certain area, and the built-in accelerometer can detect a crash and send an alert to a loved one. 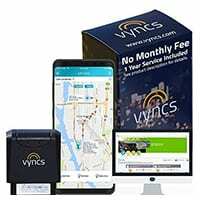 It costs around $75 a year for the Vyncs service, which works out to a little over $6 a month, and that includes the device itself. For a little more, you can add roadside assistance, and you can also pay more to have more frequent updates. Our only complaint is that the app isn’t very easy to use. 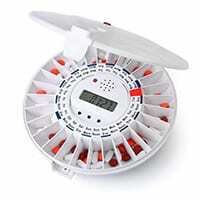 The LiveFine Automatic Pill Dispenser (around $80) is a motorized carousel with 28 slots for your daily pills. You can set up to six alarms for the times you want to be alerted to take your meds. When it’s time to take your medicine, an alarm will sound and lights will flash to alert you. When you tilt the dispenser, your pills will come out, and the alarm will stop. The carousel won’t move again until it’s time to take the next dose. We like that the LiveFine keeps your meds safe and organized until it’s time to take them, since you can only open the device with a key. But the gaps in the compartments are big enough that some smaller pills might escape their compartment and fall out of the device or end up in another compartment when you tilt it. Also, the compartments may not be big enough for all of your pills if you have a lot of different medication. A doorbell might seem like an odd choice as a safety device, but at around $20 the SadoTech is inexpensive, easy to use, and has so many applications for older adults, we had to include it on our list. The doorbell comes with a base station that you plug into your wall, and two wireless doorbell buttons that you can place anywhere within 500 feet of the base station. You can set each doorbell to have a unique ring (with about 30 different tones to choose from) so you know where it’s coming from. When you push the doorbell button, it sends a signal to the base station, which plays the tone and lights up. You can adjust the volume to be as loud as you need it to be. The SadoTech is a great device for seniors who live at home with a companion or caregiver. 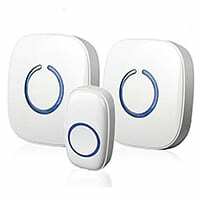 Doorbell buttons can be placed in the bathroom, bedroom, or near a favorite chair. Simply press the button to let someone know you need assistance. Or, just use it as a regular doorbell, so you can hear (and see) when someone is at the door. Just because something functions as a safety device, it doesn’t mean it has to look like one. The AquaTeak Shower Bench (around $130) is a beautiful addition to any home, and a stylish alternative to a traditional shower chair. 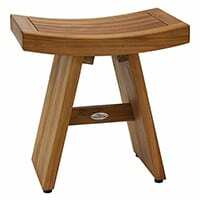 The classically styled bench is made from warm, water-resistant teak, making it durable, sustainable, and comfortable. Its rubber feet provide good grip in the tub, and its stainless steel hardware holds up over time. We like that this bench can be used indoors for shower safety, or used outside the bathroom as a decorative accent piece or garden bench. It does require some simple assembly, but if you’re not up to the task, you can pay a little more to get it pre-assembled. The manufacturer recommends regular maintenance with specially formulated oil to keep it looking like new. The LogicMark Freedom Alert System works a lot like a subscription system like Life Alert, but there are no monthly fees. It’s a pendant with two-way talk capability, and when you press the button, it will send an alert to the base unit. The base unit calls one of the pre-set contacts from your list (you can have up to four), and you can talk to them through the pendant. If it can’t reach anyone from your list, it will contact emergency responders. It’s not waterproof, so you can’t wear it in the shower, but you can purchase add-on wall buttons that will work with the base unit as well. The base unit and pendant together are about $270. 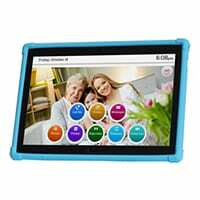 The Claris Companion is a touch screen tablet with a simpler operation for older adults who may not be as comfortable with technology. Large, easy-to-read buttons on the screen let you visit favorite websites, call family members, view photos and videos, and take scheduled wellness surveys to let loved ones know how you’re doing. You can have a trusted friend or family member help manage the home screen remotely from their computer, tablet, or phone. And it can alert loved ones if a care reminder is missed, like if you miss a dose of medicine or you don’t check in. The Claris Companion device is about $350, but you can also opt to use an Android tablet you already own and just pay the monthly fee of around $30–$50. 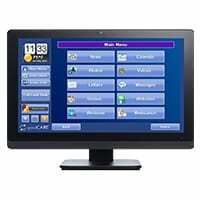 GrandCare is a large touch screen similar to the Claris Companion, but it can also connect with your medical equipment, sending readings from your blood pressure machine, oximeter, glucometer, and more to your health care provider. Because it operates on a virtual private network (VPN), it’s fully HIPAA compliant, so your doctors and nurses can access it remotely as well through the Care Portal. You can even get a health consultation without having to leave the house. It also works with other add-on smart devices and sensors around your home, and you can set rules for certain scenarios. For example, if you open the bedroom door in the middle of the night, it can trigger the hallway light to turn on. GrandCare can automatically pull photos from connected Facebook accounts, so you’ll always know what’s going on with your family and friends. If others in your community also have GrandCare, you can use it to find out about upcoming events, to communicate with others, and even to request services, like a haircut or yard work. A GrandCare subscription runs between $150 and $300 each month, depending on the level you choose. Developed by a concerned grandson, this touch screen device offers more than just monitoring and connection—it’s also a virtual pet. A trained operator with basic information about the owner of the device controls the pet remotely, so that it can carry on conversations with the GeriJoy user. The pet asks its “owner” for virtual care, like a belly rub or virtual food. Developers say GeriJoy is making a positive impact on aging adults with memory loss by giving them daily opportunities for meaningful interaction and a way to feel appreciated and useful, even if just through the companionship of a virtual pet. This one-on-one attention comes with a hefty price tag, though—the GeriJoy service costs about $250 a month. It can be frustrating to have to always ask for help getting out of your favorite chair, or have someone help you off the toilet seat. But it can also be dangerous to do those things unsupported. 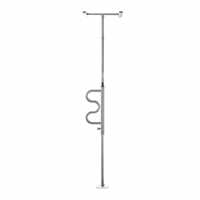 The Stander Security Bar (about $160) is a great way to give you more independence with a temporary, tension-mounted rod. It has rotating handles that can be adjusted and secured in place to give you the best angle to always feel supported. Keep in mind that to ensure a tight fit, you might want to enlist the help of a handyman to install the pole. MyNotifi is a simple, wearable device equipped with fall detection technology that will instantly alert a friend or loved one if you fall. You can wear it on an attractive, discreet wristband or on a belt clip. If it detects a fall, it will alert your loved ones using an app on their smartphone so they can immediately come to your aid. At around $300, it’s pricier than other monitoring devices, and there’s no emergency button for non-fall events, but we like that there are no contracts or monthly fees. Why are so many safety products for seniors focused around bathroom safety? According to the National Council on Aging, 25% of all Americans over the age of 65 will experience a fall. And falls are the leading cause of injury, both fatal and nonfatal, among aging adults in the US.1 Activities that take place in the bathroom, such as getting in and out of a slippery tub or sitting and rising from the toilet, greatly increase the likelihood for a fall, especially since people want privacy when they’re doing these things. How can I reduce the risk of a fall in the bathroom? Many of the products we’ve listed in this article can help you stay safer in the bathroom, but you may also want to consider using inexpensive nonslip mats in the tub, raised toilet seats to make it easier to get up and down, and a hand-held shower used in conjunction with a seat, so you don’t have to worry about balance issues while you bathe. Nighttime restroom trips can be made safer and more convenient with a bedside commode. How do I talk to a loved one about keeping them safer as they age? Conversations about aging can be difficult for both older adults and those who are concerned for their well-being. A simple question like “So, how are you getting along these days?” might be a good way to start a conversation. You may also want to ask “Do you ever feel unsteady or worried about a fall?” If your loved one is resistant to talk about their limitations, you might gift them one or more discreet safety devices and tell them that it’s only for your own peace of mind. Aging adults have a lot of health and safety issues to consider, so you may want to explore more options. If you want to learn more about adding some heart rate monitoring into your wellness routine, check out our picks for the Best Heart Rate Monitors for Seniors. 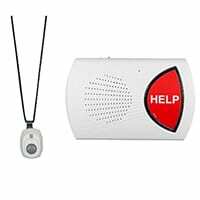 To explore additional options for medical monitoring and emergency alert systems, check out our top choices for the Best Medical Alert Systems for Seniors. For more information about how to keep you and your loved ones healthier, safer, and independent longer, visit SafeWise’s Senior FAQ Page.